So fellas, are you new to the no-shave movement and need help getting started with a beard grooming regimen? Or have you been sporting the beard for a while, but just can’t seem to get the right combination of products to give you the look you want? 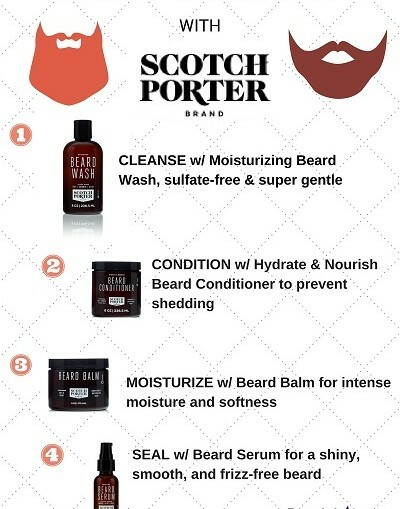 We know you guys don’t like to spend endless hours on your grooming regimen, so the genius team at Scotch Porter Brand has made it SUPER easy and convenient for you. The Scotch Porter line of men’s grooming products is designed with the dapper man in mind, featuring natural ingredients that nourish and strengthen facial hair. 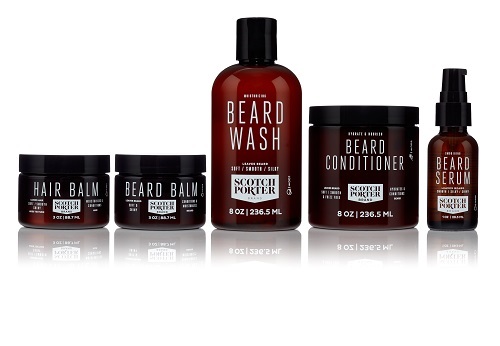 Their simple and effective step-by-step system is sure to deliver a soft, shiny and healthy beard. Step 1 Cleanse with Moisturizing Beard Wash, a gentle, sulfate-free cleanser that moisturizes as it cleanses without stripping the hair, which can give way to a dull and lifeless beard. Instead your beard is left soft and shiny and full of life. Step 2 Condition with Hydrate & Nourish Beard Conditioner–a deep conditioning beard treatment that keeps the beard shiny in between washes. It’s nourishing botanicals help prevent shedding, promoting a soft, thick-growing beard. Step 3 Moisturize with Beard Balm. The beard balm provides moisture, repels dandruff, and keeps your beard shiny and soft. Step 4 Smooth and seal with Beard Serum- The final step, the serum locks in moisture and smooths down the cuticle for a silky, frizz-free beard. That’s it! Simple, right? 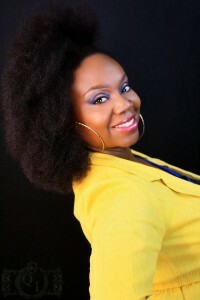 Give these products a try–you will not be disappointed. Your beard will thank you! Click the image below to shop this incredible grooming line!